This week in epilepsy genetics. The following publications are a selection of what was published in the last week. These studies might be relevant for you because they both extend the phenotype of recent gene findings and describe novel genes that you should be aware of. DOCK7, epileptic encephalopathy and cortical blindness. Perrault and colleagues identify compound heterozygous mutations in DOCK7 in two families with early-onset epileptic encephalopathy (EE) published in the American Journal of Human Genetics. 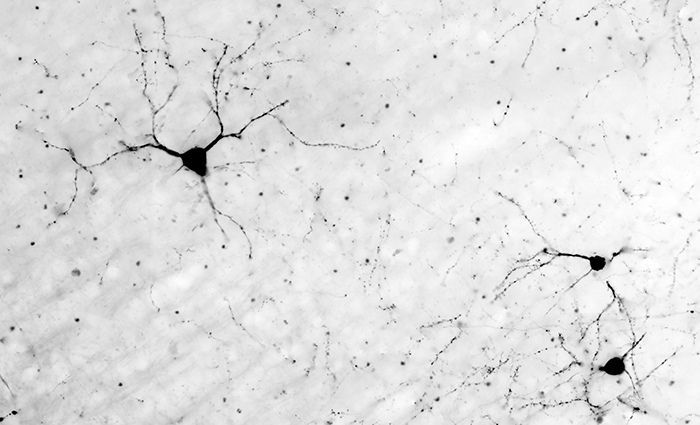 The gene was previously shown to be involved in differentiation of pyramidal cells and interneurons. The patients also had some dysmorphic features. Comment: DOCK7 is a novel recessive EE gene. Future studies will show whether dysmorphic features and cortical blindness are features that allow for a diagnosis on clinical grounds. DEPDC5 and frontal lobe epilepsy. Picard and colleagues investigate the frequency of DEPDC5 mutations in 30 families with Autosomal Dominant Nocturnal Frontal Lobe Epilepsy (ADNFLE) in a recent publication in Neurology. They identify mutations in DEPDC5 in 13% of families, suggesting that DEPDC5 is the causative gene for a broad range of familial focal epilepsies. Comment: Familial Partial Epilepsy with Variable Foci due to mutations in DEPDC5 may masquerade as ADNFLE. DEPDC5 is on the differential for virtually all non-lesional familial focal epilepsies. COG2 – recessive meets de novo. Kodera and colleagues identify a patient with a COG2 mutation through exome sequencing in a recent publication in Clinical Genetics. The patient’s phenotype included severe epilepsy, microcephaly, and liver dysfunction. The COG2 protein is implicated in glycoprotein modification, and given the known disease-causing mutations in COG3 and COG4, they identify a novel Congenital Disorder of Glycosylation. Interestingly, the patient had a recessive mutation due to one transmitted allele and one de novo mutation. Comment: Given the similarity to known diseases and positive biochemical studies, novel disease-causing genes can be convincingly identified in single patients. Diagnostic yield of gene panels. In a recent paper in JAMA Neurology, Wang and colleagues review the diagnostic yield of gene panels for epilepsy. They conclude that gene panels have diagnostic yield of 25% that is comparable to exome sequencing. However, gene panels may be more cost-effective. Conclusion: Gene panels and exomes are comparable in their diagnostic yield, but exomes are more expensive. This comparison should also factor in that some established genes are insufficiently covered in exome sequencing. Looks like gene panels will still be around for a while. This entry was posted in 2014, papers of the week and tagged ADNFLE, American Journal of Human Genetics, CHRNA2, CHRNA4, CHRNB2, COG2, Congenital disorders of glycosylation, cortical blindness, DEPDC5, diagnostic exome analysis, DOCK7, epileptic encephalopathy, frontal lobe epilepsy, gene panel, KCNT1. Bookmark the permalink.